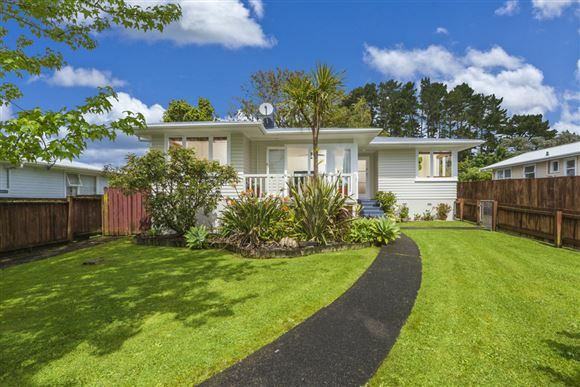 If traditional kiwiana living is the dream of all dreams for you then this fantastic solid weatherboard home is a must see. Boasting a flat fully fenced 673m2 family friendly section and jam packed full of heart factor with its north facing front yard and suntrap patio, wooden polished floors, standalone man cave/garage and an entertainers deck flowing onto a dreamy flat back yard for those summer night gatherings. Positioned in the go ahead suburb of coastal Beach Haven with quaint Beach Haven village, schools, the ferry into the city, sport grounds, coastal walks and parks, all this just a short stroll away. With room to still add value and stamp your mark this fantastic weatherboard wonder is super smart buying, sure to pay dividends in years to come with an equation like this. Throw on your jandals and stubbies, get out the barbie, call some friends and celebrate this quintessential kiwi dream!